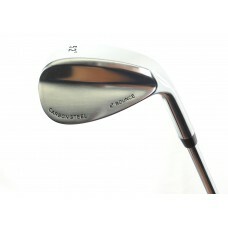 The Manufacturer's Suggested Retail Price for this club is $69.95...Your price is MUCH BETTER!! ….............BUILT IN THE U.S.A.! AGXGOLF.COM is headquartered in Michigan; we build these wedges in our Highland, Michigan facility! We know you will enjoy playing these fine golf clubs as much as we enjoy crafting them! ...And we GUARANTEE that you will be SATISFIED! !